The sad fact is that while all these ideas sound like they could be terrifying, the movie just can't deliver the level of terror needed to take it from a forgettable independent film to a beloved classic. 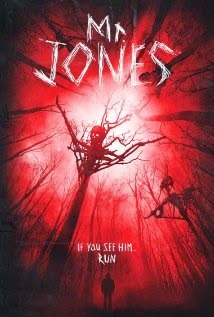 Filmed as a mixture of documentary and found footage with a heaping serving of "bad acid trip" on the side, the overall tone is more like an episode of Are You Afraid of the Dark than of an adult horror movie. I honestly hope that whomever worked on the set design for this movie finds their way onto the set of some other, less lacking films, and brings their disturbing esthetic to the masses. The ending is fittingly vague and could either be going in the Midnight Meat Train direction (where the perceived villain was really filling some ceremonial role that keeps humanity safe from supernatural forces we're better off not knowing about AND NOW our leading man has taken over that role) OR it's The Shining direction (where weak-minded individuals fall into this situation and succumb to madness and it turns out, they've always been here, playing this game because all people are exactly the same). My gut feeling is that they intended for the former to be the resolution, but I'll let you judge for yourself. You can watch the trailer here - it makes the best usage of their potentially frightening visuals and disturbing soundtrack.